Alert! McDonald’s is really having a moment. 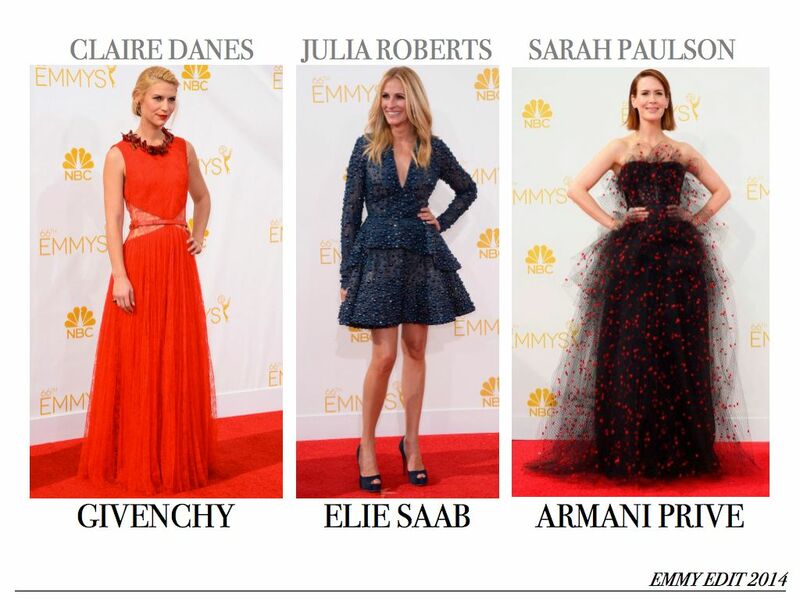 First we had Jeremy Scott’s nod to the fast food chain and now the crimson line up (I just couldn’t look away from) at the 2014 Emmys. I didn’t choose all red gowns despite the abundance, but the gowns I did choose all had a little something unexpected. Claire Danes in Givenchy – In the Edit because: Givenchy in red. An honorable mention to beaded butterflies on the collar and lace cut outs. Julia Roberts in Elie Saab – In the Edit because: Looking youthful is always in. Visual happiness provided by long sleeves and short skirts. Honorable mention to bubble beads. Sarah Paulson in Armani Prive – In the Edit because: Tulle and polkadots are just doing their thang. Honorable mention to Edgar Allen Poe and the Raven.